Are you a mom or know a mom? 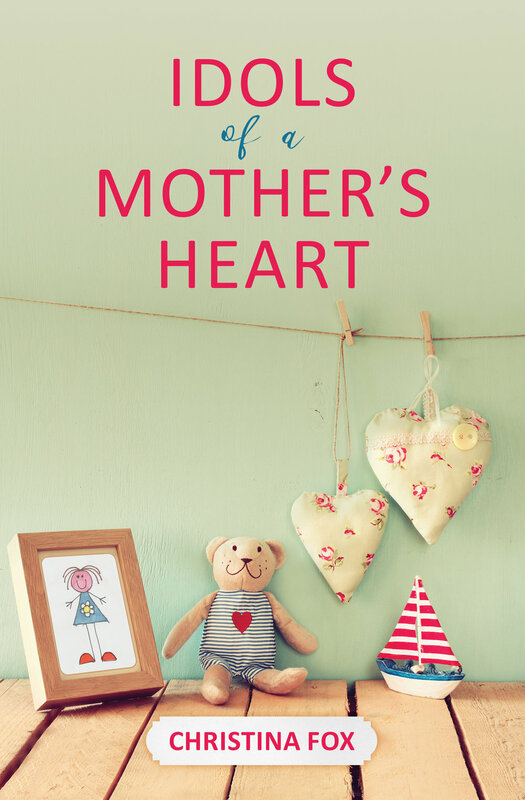 My next book, Idols of a Mother's Heart (Focus for Women) , releases in December. I’m excited to tell you about this book because it’s a reflection of the work God has done in me in recent years. While the Lord uses many circumstances, situations, and hardships in our lives to transform and sanctify us, he also uses motherhood to make us more like Christ. In my own life, God has used motherhood to reveal idols in my heart, those things I turn to for hope and life outside of him. Sometimes, those idols have been good things, like sleep, time to myself, routines, or the desire to do motherhood well. Sometimes those idols have been finding my meaning, purpose, and identity in what I do as a mom, rather than in who I am in Christ. My book, Idols of a Mother’s Heart, unpacks idolatry in our lives, what it looks like, and what the gospel has to say to it. The specific idols of motherhood I explore are: children, control, comfort, success, and approval. Each chapter includes a prayer and discussion questions. The book can be read individually or in a group with other moms or even with spiritual mentors. —Holly Mackle, author of Same Here, Sisterfriend: Mostly True Tales of Misadventures in Motherhood and Little Hearts, Prepare Him Room. I am looking for readers who would be interested in helping me get the word out about this book. What’s in it for you? A free book! What do I need from you? For starters, I will need you to write a review on Amazon and share about the book on social media. If you have a blog, I’d love for you to share about it there as well. I will be sending out an email to launch team members with all the details in the next couple of weeks. If you’d like to join the launch team, enter your email below and I will contact you with the all the details. I look forward to connecting with you! Please note, the last day to fill your info below is October 2. Update 10/3/18: The registration for the launch team has closed and I’ve removed the sign up form. Thanks to all those who entered. I will be contacting you soon.